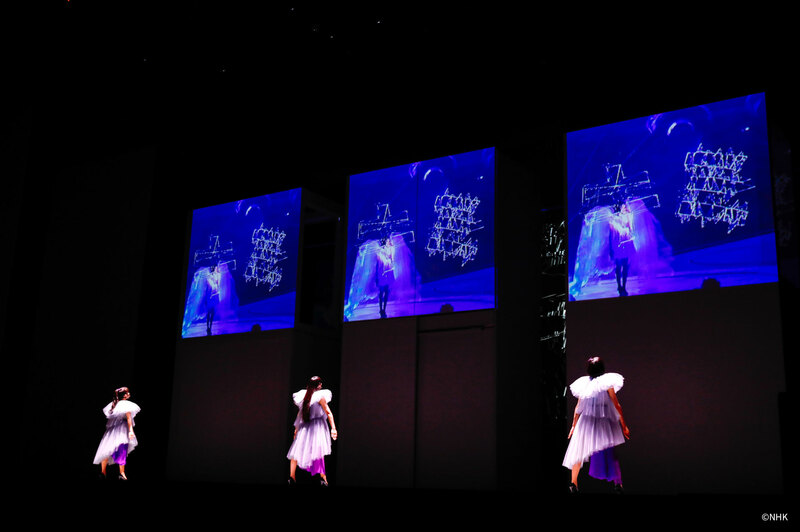 Live performance executed in collaboration with the choreographer MIKIKO. Rhizomatiks Research provided the interaction design, technical development, and video imagery. The title “Reframe” denotes reconstruction, a new framework for contextualizing Perfume’s diverse corpus. 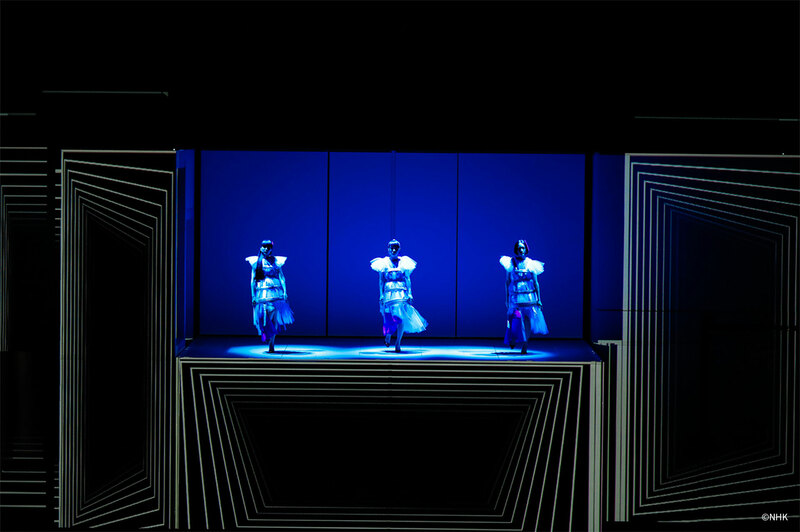 Data from all Perfume’s performances to date became the basis for an experimental reinterpretation of three tracks. 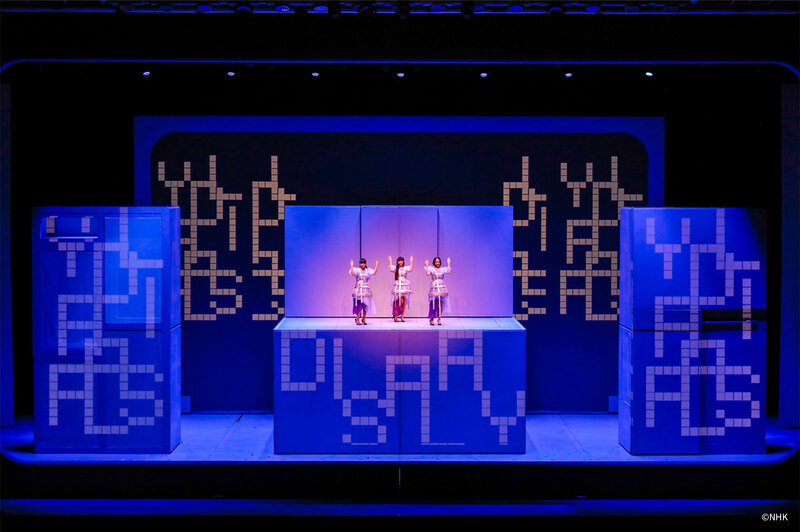 “FUSION” utilized massive shadows of the trio, projected onstage. 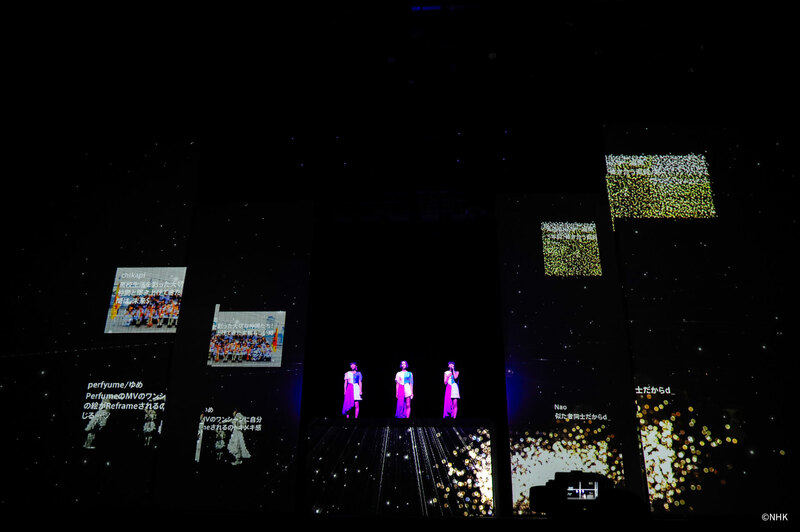 For “NEGAI,” fan-submitted photographs were analyzed and matched with music video segments. 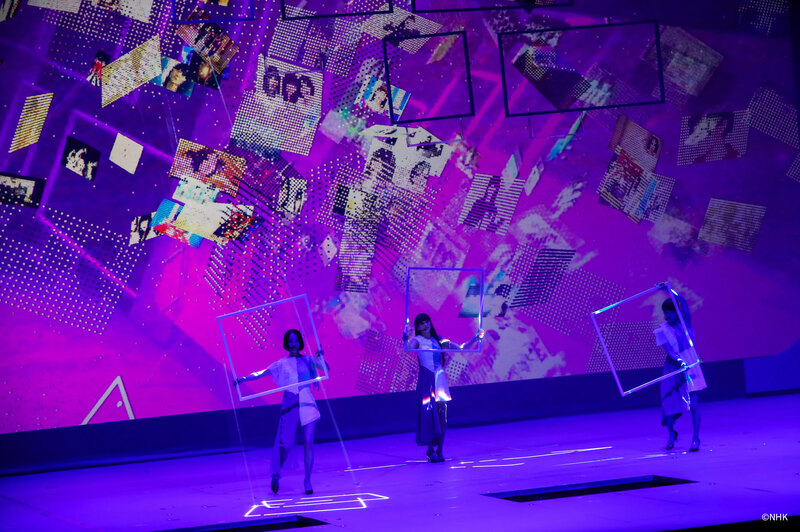 Meanwhile, “MUGEN MIRAI” featured drones and AR technology.